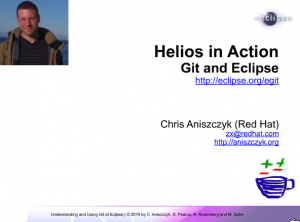 Yesterday, we held the Eclipse Toronto DemoCamp at the Red Hat Canada offices. Thirty or so people showed up and there was a lot of good presentations.. Afterwards, we headed to the Rose and Crown pub for drinks and food! Overall, it was fun and thank you Eclipse Foundation for sponsoring the event!